The Liberty have accomplished nothing. First I would like to apologize for the somewhat misleading headline. 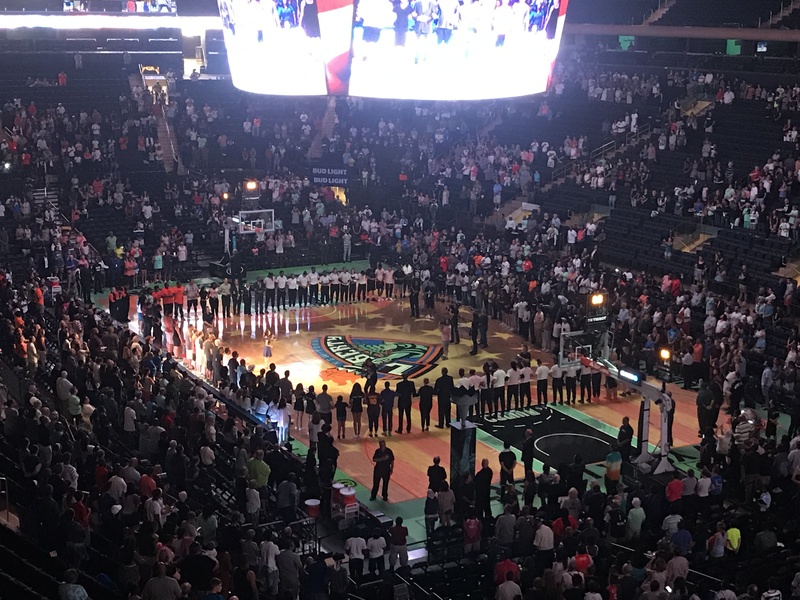 The Liberty beat the league leading Minnesota Lynx yesterday at the Madison Square Garden. It was their 5th consecutive victory and a win that clinched them a spot in the playoffs however if you let the players tell the story they would say nothing has been accomplished. As a reminder the Liberty (this week alone) have defeated the LA Sparks, the Connecticut Sun and the Lynx the top 3 teams in the league, that would be a difficult task for any team in this league but the Liberty are clearly gelling at the right time. The team is simply not satisfied with regular season wins they are looking at the big picture and understand that these games against these teams are important as they head into the playoffs if they want to be title contenders. Coming into the game the Liberty knew they had to focus on Sylvia Fowles, she has been having a marvelous season and has been one of the main reasons why the Lynx had a 22-5 record coming into the game. Fowles has been dominant offensively, defensively and has been pulling down rebounds for her squad. This has been a career year for her and she is doing it with the support of her super star teammate Maya Moore. Sylvia’s first two possessions of the game immediately drew a second defender from the Liberty. Tina spoke about the play of the two Kias on the team. Both Kia Vaughn and Kiah Stokes did an excellent job with making Fowles uncomfortable in the paint throughout the game. Both Stokes and Vaughn were quick to thank the guards for assisting them with containing Fowles as they harped on the team motto. It was a team effort and the team executed well. Another key to the victory was the ability of the team to get to the 50/50 balls and rely on their hustle to turn things around. The Lynx had an early lead as Seimone Agustus and Plenette Pearson got them going early. The Liberty were able to get some key rebounds, steals and loose balls which helped them to turn things around. Bria Hartley and Epiphanny Prince both had key steals in the third period. Epiphanny Prince again provided some needed offense for the Liberty she has been a great offensive rhythm and her teammates are very pleased with her aggressiveness on the offensive end of the floor. She seems to be very confident and this is the perfect time as the Liberty head into the playoffs. As stated before, the Liberty have accomplished nothing. They have championship aspirations and have peaked at the perfect time. They have more to work on before they get there but they seem to be in a good groove as a team.